Google’s or should we say LG’s 2015 Nexus has started to make an increasing number of rounds in the leak chain over the past couple of days. We’ve been seeing dimension, features and renders surface of the upcoming device, though there’s no word yet on when we can expect it to hit the market. Nexus launches are generally a quiet affair, and there’s no reason to expect this year to be any different. 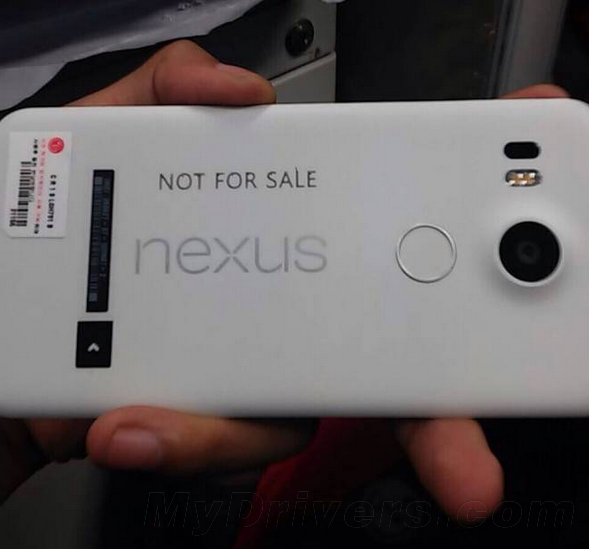 When it comes to LG’s Nexus for 2015, we’ve seen several leaks and bits of information surface about the device until now. Most of them concern primarily with the device’s design and external features, and so far Google’s smartphone for this year is said to be coming with a fingerprint sensor on board as well. In fact, the said sensor is expected to be placed directly below the camera on the device’s rear, giving the Nexus a rather neat arrangement of sensor, lens and flash arrangement. Well, as you can see in the image above, the leaks appear to be right on point so far. The LG made Nexus, said to be based on one of the company’s already existing prototypes has made one of its first live image appearances on the web today. The fingerprint sensor does seem to be confirmed with the image so you should expect this year’s Nexus to finally feature biometric recognition on board, something which Google had also intended to place on the Nexus 6. Its also got a protruding camera and dual flash on board, features which have made rounds previously as well. The back of the 2015 Nexus also appears to be made out of plastic, and should be removable if this little fact holds true. We’ve seen what appears to be a removable cover on earlier renders of the device too so Google and LG intend to stick with removable batteries and microSD expansions. Now all we need to do is wait for some detailed specification leaks of the device, so stay tuned and let us know what you think in the comments section below.